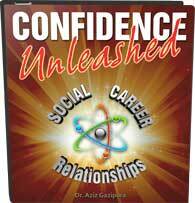 Today we’re going to dive into business confidence. Specifically, we’re going to touch on something that I see business owners being hindered by constantly: delay tactics. Delay tactics are incredibly common, and I see them all the time in the people with whom I work. Examples include confusion, hesitation, self-doubt, and uncertainty. As you may have guessed, they are the things that keep you from making decisions and accomplishing your goals. That anxiety we feel when we’re not 100% sure what to do can be crippling. Worse than the negative feelings and thoughts it causes in our bodies, it makes us question ourselves and keeps us from taking chances. What we are going to discuss today will help you massively increase your productivity. But first, we need to learn how to blast through the obstacles that are inhibiting your conviction. Overcoming your delay tactics starts with your internal state of confidence (which influences how you approach decisions in the first place). Here’s how most people approach decisions: Shall I pick A or B? Which one is the best? Which will provide all pleasure no pain? In the case of business, pleasure might be better sales, growth, more customers, more clients; and pain might be loss of money, loss of time, loss of reputation, loss of some sort. The higher-ups make their decisions based on which choice is going to give them the best results with the fewest negative consequences—that’s just common sense. The problem is that there is rarely a choice in this world that is not going to come with at least some degree of a downside (pain). Otherwise, it wouldn’t be called a choice. In this model of decision making, we get caught in an endless cycle of indecision, bouncing back and forth as we weigh the pros and cons of one option against another. What we have to realize is that this whole approach to decision making doesn’t work. One of my colleagues is working on perfecting his business niche. He’s not exactly sure which niche or market to expand into, and he has been stuck trying to decide for at least six months. Maybe you know someone like this, or maybe you’re in the same position. There’s nothing wrong with that, but the key to breaking out of the indecision cycle is to go with your gut and just pick something. There are no mistakes. With each decision you make, you’re going to learn something incredibly valuable. The most important thing you can do is to make a decision and implement the necessary changes as rapidly as possible. I frequently tell my friend that the best learning happens through successive approximation. You make a definitive choice and ask yourself if the result is exactly what you wanted. If it isn’t, try sliding in a slightly different direction. If the results still aren’t perfect, assess what you learned and adjust again. The idea is that you’re constantly moving and learning and course-correcting rather than waiting an eternity for the perfect moment to make the ultimate decision. Waiting for the perfect anything is just an excuse. It’s a delay tactic to avoid facing your fears, whether they’re job-related or love-related or friend-related. You’re afraid of failing, so you tell yourself that the best option is to take no action at all. You cannot allow that fear to take over, and you cannot give in to your delay tactics. You have to jump in—dive in—and see what happens. Now, sometimes this gets me into trouble because people say, “Wait a minute . . . what if you’re impulsive and you do something foolish?” What I have found is that the biggest cost usually ends up being a little lost time. This is why quick implementation is key: the faster you get your decision rolling, the sooner you will benefit from its success or learn from the attempt. Let’s say you’ve got a problem and you need to make a change: you embark on option A, and it doesn’t work, so you take what you learned and try option B. You’re still not quite there, but the results are better. Then you analyze those results, try option C, and hit a home run. At that point, you might be thinking that time was wasted. The reality, however, is that not only did you get exactly the results you wanted in the same amount of time you would have taken hemming and hawing over your options, but you also got to pick up some valuable information in the process. 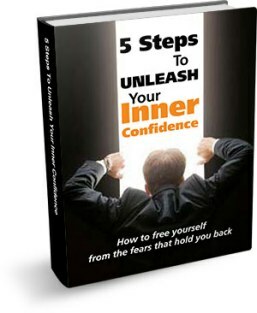 Getting ahold of your business confidence is key to your overall career goals, if you are ready to break through in this area then check out an interactive program that I developed called Confidence Unleashed, it’s taking your confidence to that next level. Leave a comment below and let me know your tricks for handling delay tactics.